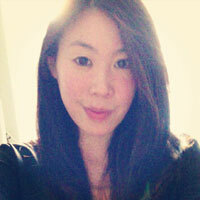 Wai Foong Ng is the founder and editor of Suit & Pie, an online magazine that aims to provide news and inspiration to professional women and men, featuring articles, interviews and original content on topics relating to gender diversity and wider personal and professional development issues alongside foodie, artsy and general lifestyle recommendations. 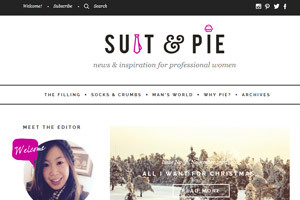 Suit & Pie started life as a biweekly newsletter in December 2013 (riding the Sheryl Sandberg Lean In wave) and moved onto its own website in July 2015 where it now features content based on a monthly theme. It’s 23:55 on 31 December. As you sit comfortably on your sofa, tea in hand, onesie on, preparing to watch the fireworks on telly, you think – “This is it. 2016 is the year I’m gonna live life to the fullest. This is the year I exercise more, eat better, lose weight, spend more time with family and friends, pay off all my debt … and start a blog.” Then the fireworks go off. OK, so not everyone will be spending New Year’s Eve quite like that (now I’m in my thirties, PJs and tea are very important to me), but the idea of starting a blog may have been something that has crossed your mind. A blog can actually be a great tool to help you achieve and commit to your resolutions. Blogging about all the things you said ‘yes’ to – your new fitness plan, your healthy recipes or your money saving tips are all viable blog topics. It is also a great way to keep family and friends updated on what you’ve been up to (like a diary you share with the ones you love … and some interested but inoffensive strangers). But your life is already full with work, your kids, your pilates classes and evenings at the pub. 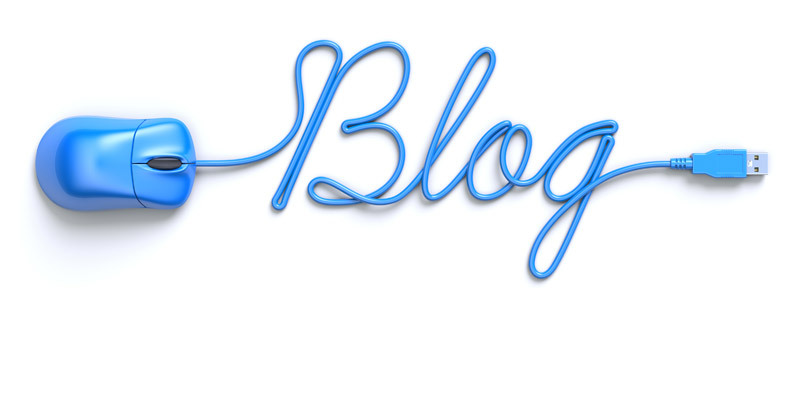 How will you find time to write a blog? Here are a few of my tips on running a blog alongside your day job based on my experience creating my own online magazine – Suit & Pie. Test the waters I started Suit & Pie as a newsletter on MailChimp. It was a good way to find my feet, assess who my readers might be and help clarify my brand identity. Although Suit & Pie started as a gender piece inspired by Sheryl Sandberg’s Lean In, the brand is now much broader and covers personal and professional development topics for and about men and women. I eventually started using WordPress (a content management system) when I set up the website in July 2015. I found that a lot of my reads early on would come from Twitter and Facebook so learning how to use these platforms to promote your content is essential. Use scheduling tools to schedule posts (there are some great apps around that post on multiple platforms at the same time when traffic is highest) and start to build your squad (as Taylor Swift would say #squadgoals). 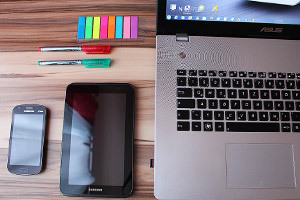 One of the tips that is always mentioned when you start a blog is to refresh your content regularly so that your readers know when to expect an update and continue to visit your site. Regular updates mean commitment – hours you might have spent chilling on the sofa after a hard day of work are now blogging hours! Make sure that your blog is about something you are really passionate about and reflects who you are. If your blog is in line with your beliefs and you are being authentic in your values that will come across. Sharing a bit of yourself is the best way to engage others, find other people with similar ideals, start to create a community and gain followers. This is the great thing about having a day job – there is no pressure. You don’t have to make money from your blog, you don’t have to worry about having millions of readers or your own spin-off vlog – your blog can be your passion project, use it as an outlet and to experiment. I mentioned the importance of regular updates. Being able to plan and schedule upcoming posts is great if you are super organised, but don’t worry if you can’t think of anything as the deadline approaches. The best ideas come when your brain isn’t actively trying to think of them. Often it will be one small thing that happened or something someone said that will give me an idea for an issue. You never know where a tweet or a coffee meeting might lead. The things I have learnt and the people I have met as a result of starting Suit & Pie in 2014 have far exceeded anything I could have imagined – I was asked to be a judge at this year’s Comment Awards and have been featured by Womanthology (of course! ), The Quarter Club, The Social Good Six, My Family Care and My Little Black Book. The blog has actually changed who I am, how I operate and made me better at my actual job in the process. I love meeting and featuring inspiring women and men in Suit & Pie, but it can be intimidating approaching high achieving, high profile, very busy people you don’t know. But the old saying is true – the worst they can say is no (or not respond). More often than not (based on experience!) people will be flattered and happy to chat and contribute – even the super important ones. As my friend Alex Swallow says – pick yourself. You might be posting the most interesting posts ever but without a bit of self-promotion no one will read them (there are millions of bloggers out there you are competing with!). I have support from some amazing people but no one will back you harder than yourself so put yourself out there and don’t be discouraged if it takes a while for people to pick this up. As my other (wiser) half says – you only need to inspire one person to make it worthwhile. If you stop enjoying the process it’s time to stop doing it. Email me at foong@suitandpie.co.uk with any questions or if you just want to say hi! I’d love to hear how you get on with your new blog.